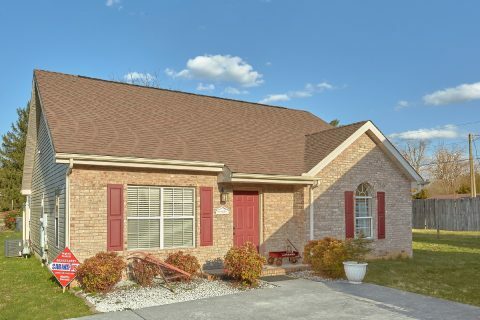 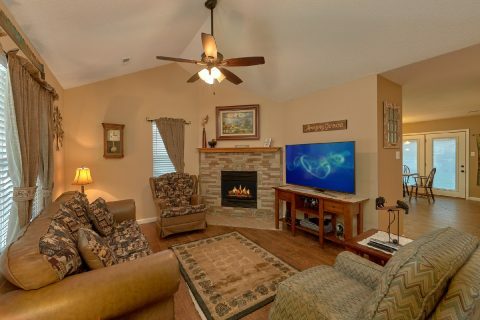 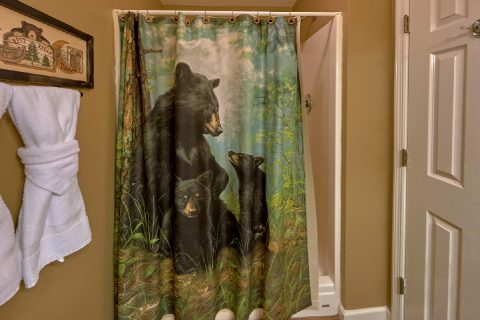 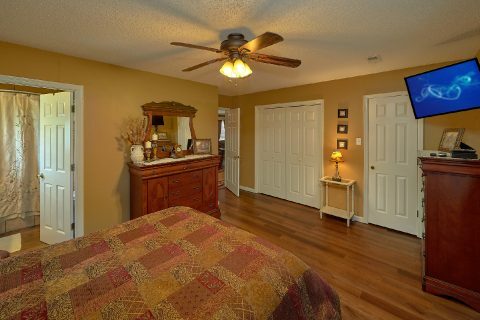 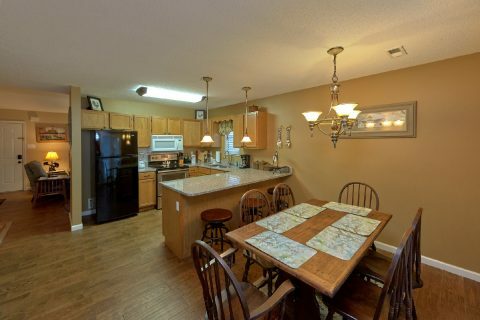 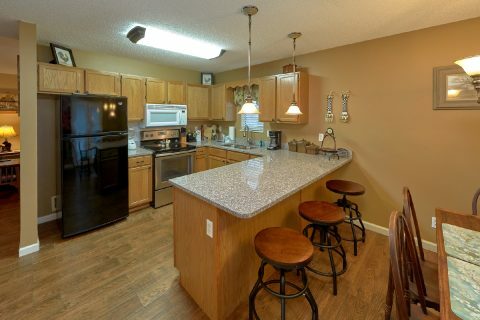 Cozy 2-Bedroom Vacation Rental Near Gatlinburg - "Amazing Grace II"
Escape to the Smoky Mountains to a comfortable 2-bedroom vacation rental near Gatlinburg, "Amazing Grace II!" 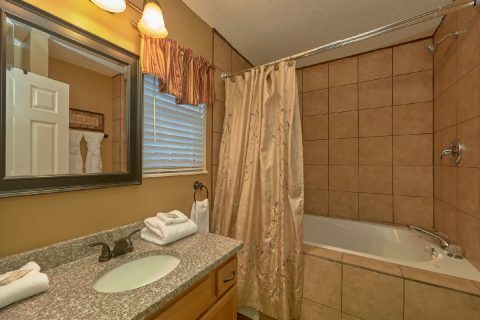 Up to 6 guests will enjoy a stay at this rental with a comfortable cabin amenities, such as a hot tub, jacuzzi tub, and more, as well as a convenient location to boot! 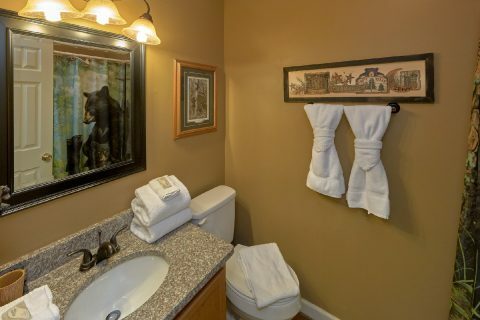 This vacation rental is located just off the Pigeon Forge Parkway, so you'll be close to plenty adventure on your Smoky Mountain vacation! 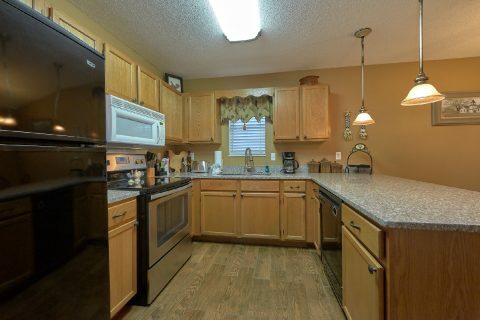 Want to enjoy your favorite dish at The Old Mill Restaurant? 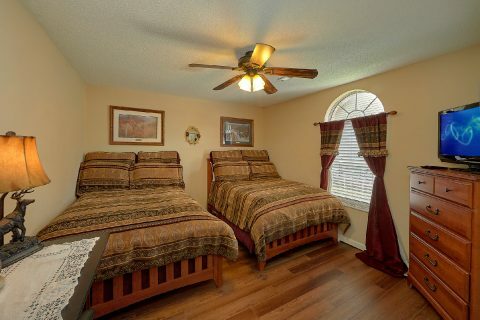 Find your favorite shop at The Island? 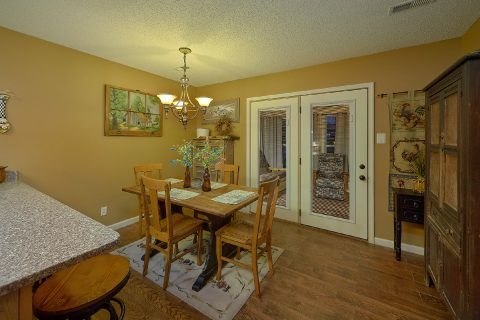 Laugh at a dinner show, such as the Hatfield and McCoys? 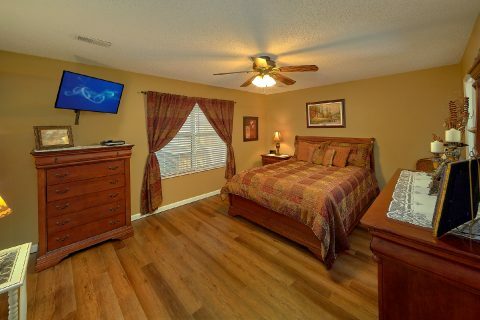 You'll be close to it all at your vacation home away from home. 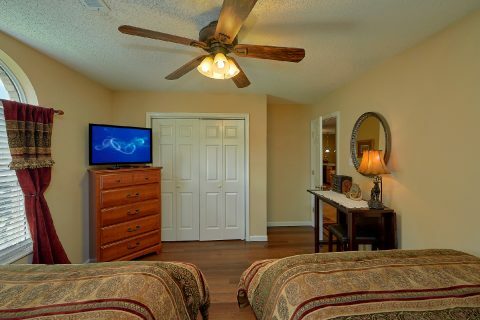 You'll also enjoy your location in the Creekwalk neighborhood, where we offer three more properties "The Bunkhouse," "Cinnamon Cottage," and "Dew Drop Inn at Creekwalk" for groups to enjoy on their vacation. 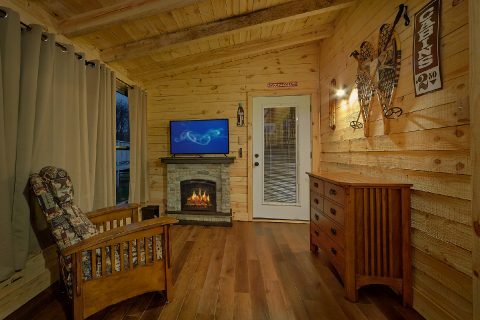 Back at your cozy cabin, the comforts of home and more with cable TV, a gas fireplace, and WiFi internet. 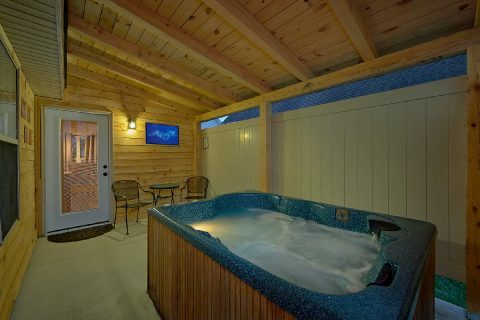 Outside, you can relax in the soothing waters of your hot tub or enjoy grilling up some burgers on your gas grill. 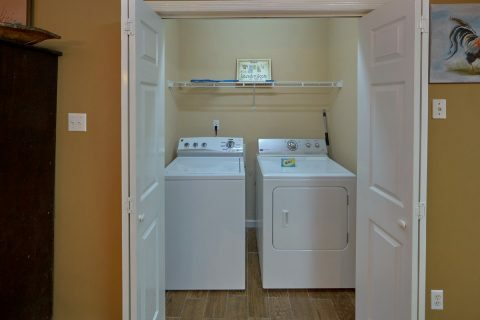 Practical features, such as a washer and dryer and a dishwasher, let you enjoy convenience and comfort on your vacation stay. 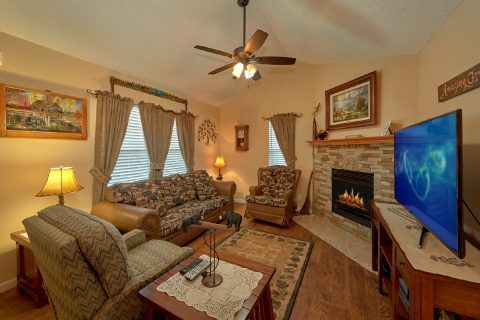 Rest up for another day in the Smokies in one of your two bedrooms. 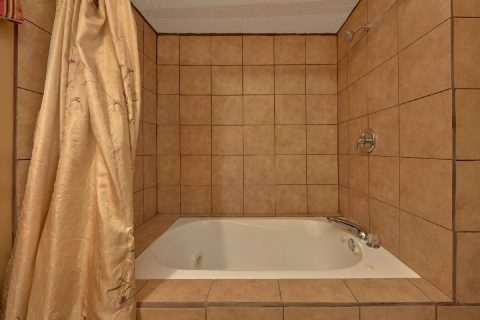 You can unwind before bed in your relaxing jacuzzi tub, and then choose from either the king bedroom or the bedroom with two full beds for a peaceful night's sleep. Book "Amazing Grace II" today and enjoy a 15% online booking discount on this comfortable and convenient 2-bedroom cabin off the Pigeon Forge Parkway.